My other half is now in love with his American car, and it’s only been a week since they have been together. He declared that he loved it so much he would even consider shipping it back to the UK when the time comes. Why would you do that? I asked. Because it’s such a great car, he replied with determination in his voice. But you’d be driving a left-hand drive car on the left hand side of the road and there are all sorts of problems associated with that, I suggested sagely. Are there? Like what? He looked confused. Like going to a Drive-Thru McDonalds, for instance, I replied. 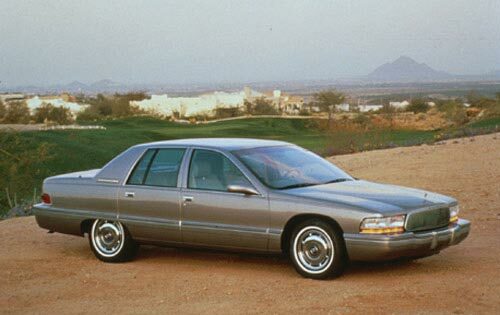 And so it was with those harsh, harsh words ringing in his ears that he instantly dismissed all thoughts from his mind of shipping his beloved Buick to the UK. And that is the sad story of how I broke my husband’s heart. This entry was posted in Travel and tagged America, American, Buick, cars, hocoblogs@@@, McDonalds Drive-Thru, UK. Bookmark the permalink. Ha,ha! I had an American car when I lived in the U.K. and it was actually quite easy to drive but in 1988 there were no drive-thrus. Modern day problems. Sheesh! And parking in a multi-story – how would he get the ticket out and in back in the UK?! You got me for a while! Please tell me its not a Buick that he is in love with?! And how ’bout you w/ the drive-thru comeback on why no ship to the UK…prob because you have the bank thru on the brain!! You need to try the Bank of American iphone check deposit. I never go to the bank now!! I think I have got it on the brain!!! I’m sure there is a mechanic somewhere in town who could shift the controls to right for him…problem solved…just saying…I mean, this is love we are talking about here isn’t it? That’s total love – my controls might need shifting, Dennis, so I think I should take priority!!!! I am with you, and I thought your response was excellent — cut to the chase immediately. Logical, rational reasons would not have worked. I think he tends to sneak to McD’s on his own…!